Before monsoon kicks in, I’ve been doing some serious poolside research all over Kathmandu. It’s the only way I can really get the grime out from under my fingernails! I like a good power swim, and the first two pools are perfect for that, and the price is right. The rest of the pools listed are a little more luxurious, as the rupees reflect. But sometimes it’s nice to just take a break from the hustle of the city and sit on a sun lounger and order pool-side service! Many of these places also have memberships available, in addition to the day rates I’ve listed. So whether you live in Kathmandu or are just passing through and need to refresh, you’ll find something to suit you. Get there early if you want to do some serious lap swimming, because after about 9am the young monks come for a splish splash and block up the lanes. 300Rs entry fee, but the hours of 8am-10am and 6-9pm are reserved for members. Memberships cost 1000Rs a month, and they have family deals too. 18 meter pool. 8am- 9pm. This is my favorite pool at the moment, especially for a serious swim. The water is super clean with a current system circulating the water. They also have a rather large 4 ft-deep kid pool, and several post-swim sun loungers! Come before 9am on weekdays for a kid-free swim in order to miss the buses of energetic children from John Dewey School who descend for swim lessons. 25 meter pool. 7am-7pm. Love the pool, love the garden, love looking at the old front of this iconic hotel from a sun chair. It’s lap-swimmable, but it’s also nice just to sit and soak up the ambiance, and perhaps order a cheeseburger and a margarita if you’re feeling like a splurge. Fab bonus feature: the showers in the locker room have magnificent water pressure. Mon-Fri. 1245Rs. 8:30-8pm. There’s a new hotel in town, right in Thamel. 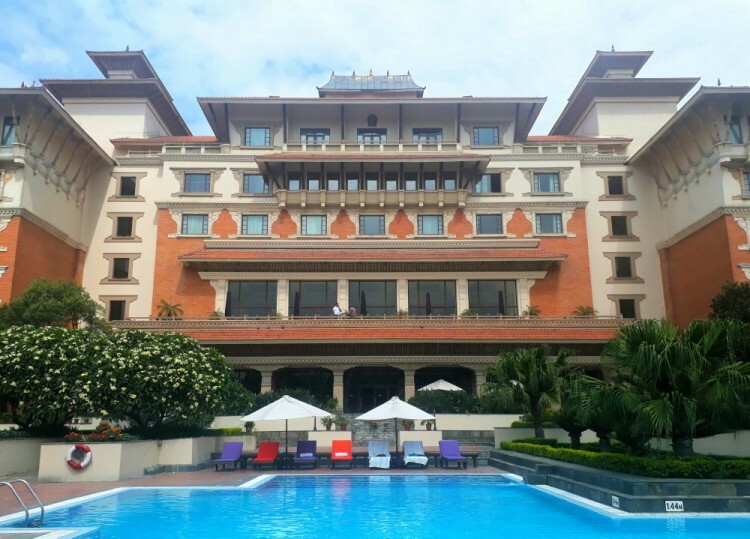 It has an infinity pool on the 8th floor with killer views over Kathmandu. It’s all very sleek and cool, with the bar on the same floor and plenty of comfy seating. Monday-Friday the price is 1500Rs and includes a locker, towel, and either a Carlsberg or a nonalcoholic drink. Saturday and Sunday it’s 1800 for the same deal. There’s also the pool-plus-lunch option, which is 2300Rs M-F, or 2500 Saturday and Sunday. 10am-7pm. Oh, I love a good Sunday at the Hyatt! The gardens are lovely, as is the crisp 25-meter pool. The kiddos get a pool too. You forget that bustling Boudha is right around the corner. Combine your time with the weekend brunch buffet from 12:30-3:30pm, Saturday and Sunday. The fresh salads are a welcome summer change from dal bhat. Adults- 3107Rs, kids 1554Rs. Or just go for the daily pool pass. Adults- 1740Rs, Kids- 1367Rs. 10am-7pm. This rooftop spot in Bainsbairi has a very cool infinity pool. It’s not huge, but it’ll do for great city views. Grab a cocktail at sunset and watch the sky turn pink over the city. Mon-Fri, Adults- 1500Rs, Kids- 1000Rs. Sat and Sun, Adults 2000Rs, Kids 1500Rs, including a basket of fries. Open daily 8am-7pm. 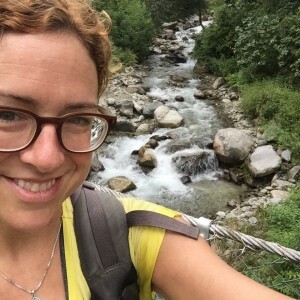 Erin has been living in Kathmandu since 2014. 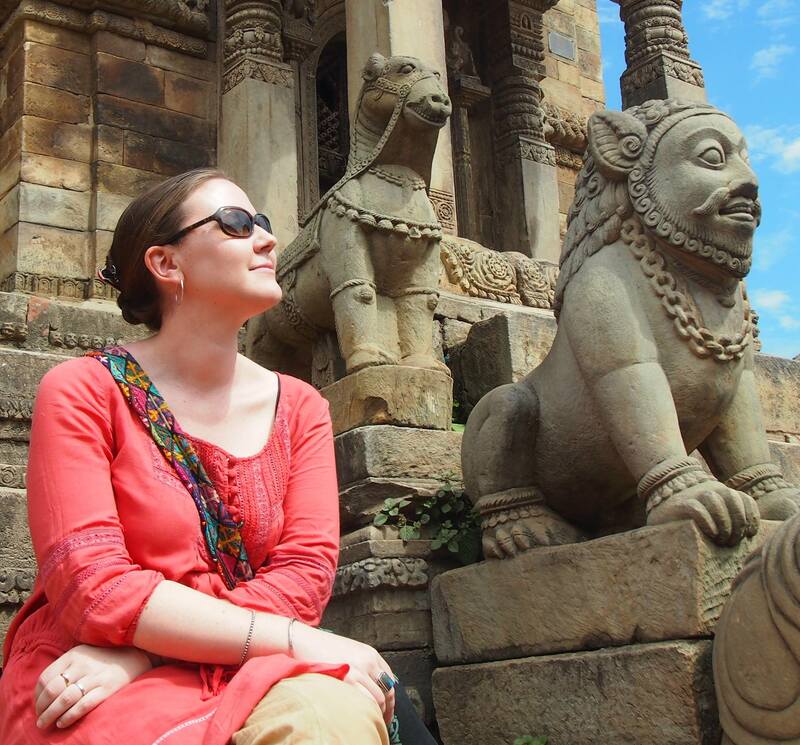 Before that she spent many years in China, and travelled all around Asia as a teacher and tour leader. When she’s not working at the British Council here in Kathmandu or teaching yoga, she’s adventuring on her scooter, seeing what’s new in the city, or spending time with her dear and eclectic friends. I went to Swyambhu Rec Center. The photo in this article looked really nice with clean water, however, the water was not so clean when I went there today. There was no water filtration system so it’s basically the same water for the season, except for the rainwater. Apart from that the pool looked rather small and not good for lap swimming, especially with other patrons, young ones taking like the shallow half of the pool. The fee is Rs 300 and locker fee is Rs 10 (deposit 500). All in all, it’s an okay pool, could be better, especially the hygienic part, including the shower area which looked dark and dirty, the only shower curtain looked like it belonged to some landfill and there was a pool or water in the shower area. The swimming pool management can do a better job. I assume the situation is worse during public holidays or saturdays. I am searching Indoor Swimming poll. Is there a place to see the cost of each of these pools on their websites? In particular, for the hotels? Thanks! Do you have any other pools you’d recommend instead? How is it possible to miss Park Village pool ? Have you tried all these pools?? ?